We started our day at an estate sale. Estate sales are not proving to be very good for me. This one looked as if an antique dealer was selling out her shop. The prices were marked as if she was still at her antique shop. Maybe that’s why there was still such a selection of items on day three of her sale. The Scotties were not impressed and neither was I. Things improved immensely at the next sale. A very sweet couple was manning a church sale where I found an almost new Britta pitcher and two filters for $3. 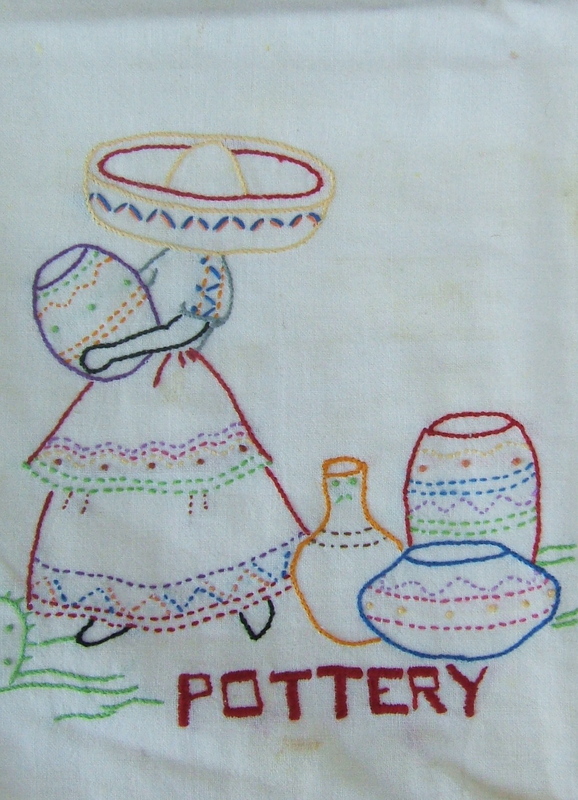 I also got some jewelry and a cute embroidered tea towel in need of a good soak. As I was picking up the vintage Monet flower pin, an older woman standing next to me said that was part of her donation to the sale. She said she bought it as a young woman when she modeled in New York and joked that it was old; she also donated the star shaped pin I purchased. I think the lovebird pin is just the sweetest. Aren’t these pins cool? 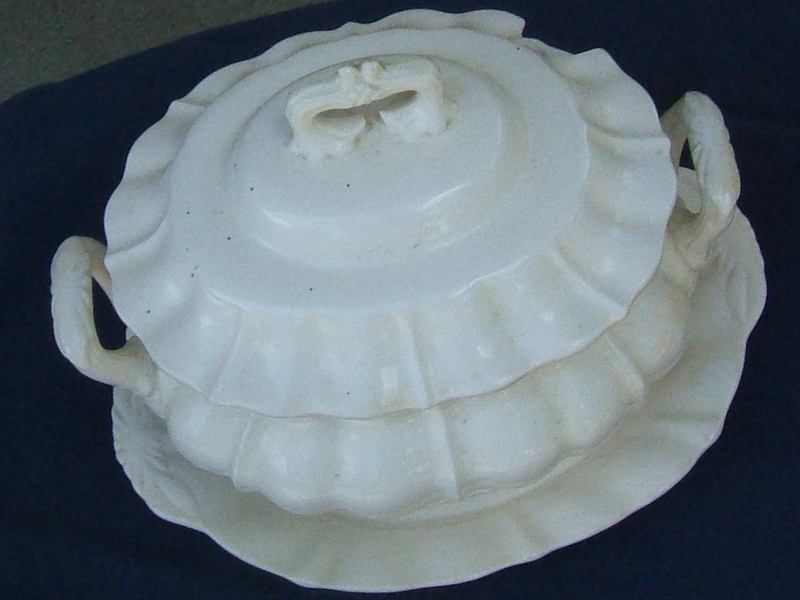 A little further down the road and I found my first ironstone tureen. I loved the size on this, not too small, not too large. I especially loved the price on this beauty. Not $10, not $5, but $3. I almost did a Snoopy happy dance right there and then. I was so excited to find such a gorgeous piece for such a fantastic price. She needs some soaking to clean her up, but her lines are already perfect. At other stops I found some character Wilton cake pans, a 2007 White House ornament, and an Ikea star-shaped ice cube tray. My favorite finds came at the sale that was our last stop of the day. There were so many wonderful things here that I had to choose which ones I could afford to bring home with me. The first items I picked up had a vintage vibe. 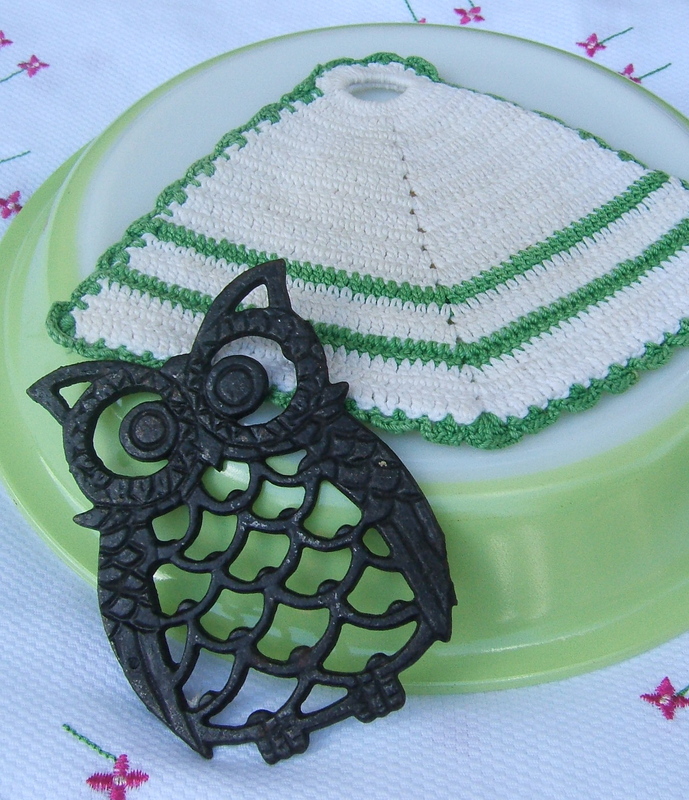 The lime green Pyrex pie plate, small owl trivet and handmade vintage potholder were vintage fabulousness. One of the women having the sale was selling extra dishes she had accumulated. As we talked about the set I ultimately purchased, she told me she would have loved to have given these to her grandchildren (although I thought she looked too young for grandchildren – I should have mentioned that to her – maybe I would have gotten a better price); however, she said her grandchildren didn’t take care of things so she was selling them instead. Grandchildren out there take note: Take care of the treasures Grandma gives you! The original boxes are marked “Tiffanie’s dishes from Grandma”. 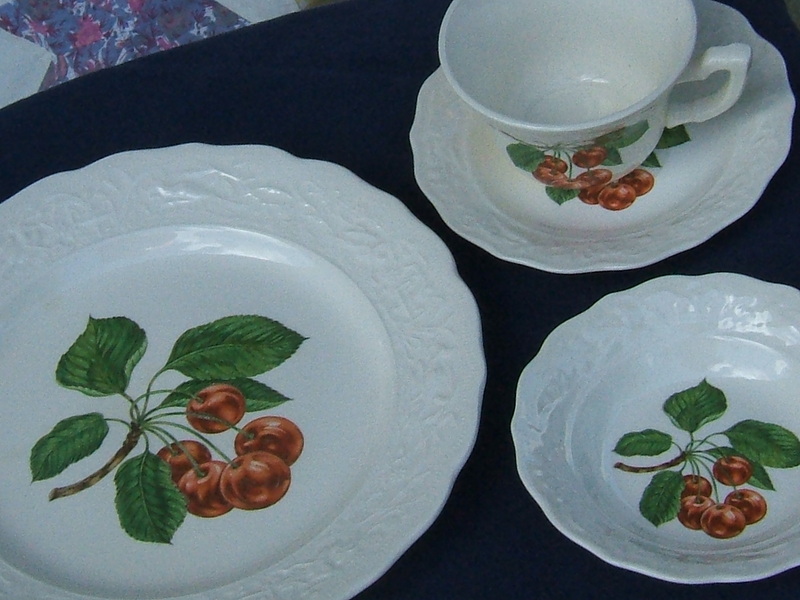 There are two sets of four plates, bread and butter plates, little fruit bowls, and six cups with eight saucers. 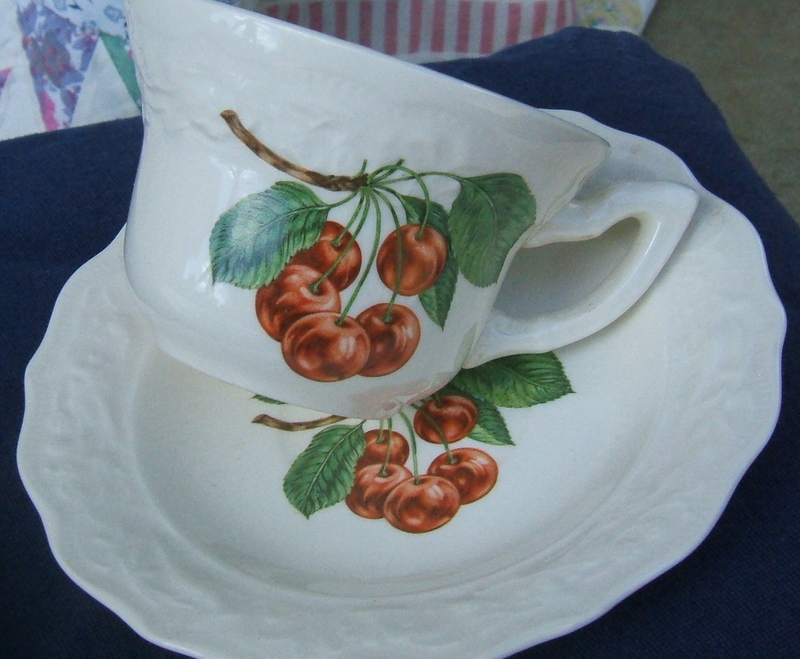 They feature different fruit patterns and were made in the USA by the Sabin China Company. I loved the delicate embossed design on the edges of these dishes. I paid $20 for the set. Earlier in the week I had stopped by my lunchtime thrift shop. I found the cutest little white dog pitcher for 75 cents. I just had to bring him home. 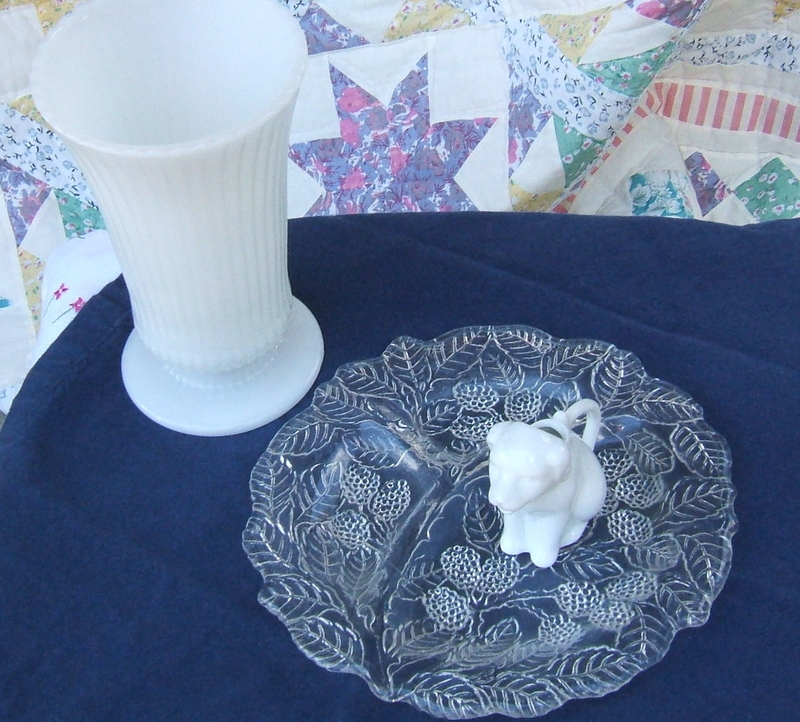 I also found a white vase and an embossed glass divided plate that matches three others I found during the Blue Ridge Thrift Crawl. Now I have an even ‘tablescaping four’. I have no idea what pattern these glass plates are. Does anyone know anything about them? I returned after work that same day to pick up two things I had left behind at lunch and then later regretted leaving them. 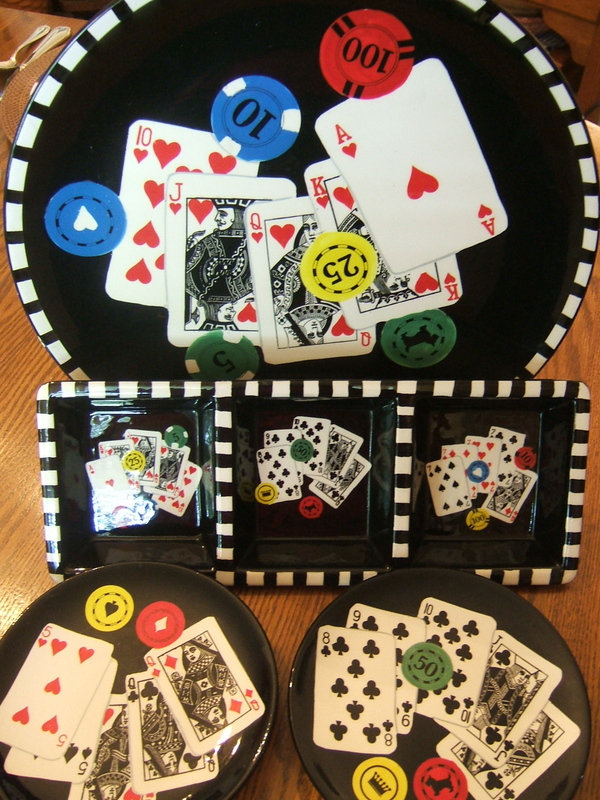 I could not get the Signature ‘Got Game’ party plates, platter, and divided snack tray out of my mind. I was delighted they were still there when I returned. Can you spot the little Scotties? Maybe that is why they were destined to follow me home. I also purchased a box of Boopie glasses. I know what you’re saying, good grief doesn’t that woman have enough Boopie glasses already! Well, yes, I do. These are for gifts. I love the way the sun sparkles when it hits these freshly washed upended Boopies. They almost look like flowers. This sure was a fun week at the thrift and the yard sales. Maybe having the Scotties along brought us luck? I hope to join the parties at Flea Market Finds at Her Library Adventures, Thrift Girl’s Thrift Share Monday, Thrifty Treasures at Southern Hospitality, Nifty Thrifty Tuesdays at Coastal Charm, Thrifty Thursday at Tales from Bloggeritaville, Thrifty Things Friday at The Thrifty Groove, and The Penny Worthy Project at Hey What’s For Dinner Mom?. This entry was posted in Dishes, Garage Sales, Scotties, Tablescaping, Thrifting, Vintage, Yard Sales. Bookmark the permalink. Tammy you really did find some treasures this week. I love my Boopie and like you it’s hard to pass them up even if I don’t need them, someone does! I think my favorite purchase was your Monet Flower pin…love it!!! Wow, you sure have a good haul here. Isn’t fun to know the story behind these treasures? Tiffanie’s loss is your gain, she’ll regret it someday. I love that tureen, what a deal! Lunchtime thrift is the best! Love all your finds, the owl, the dog pitcher, the pins, I couldn’t say no either. 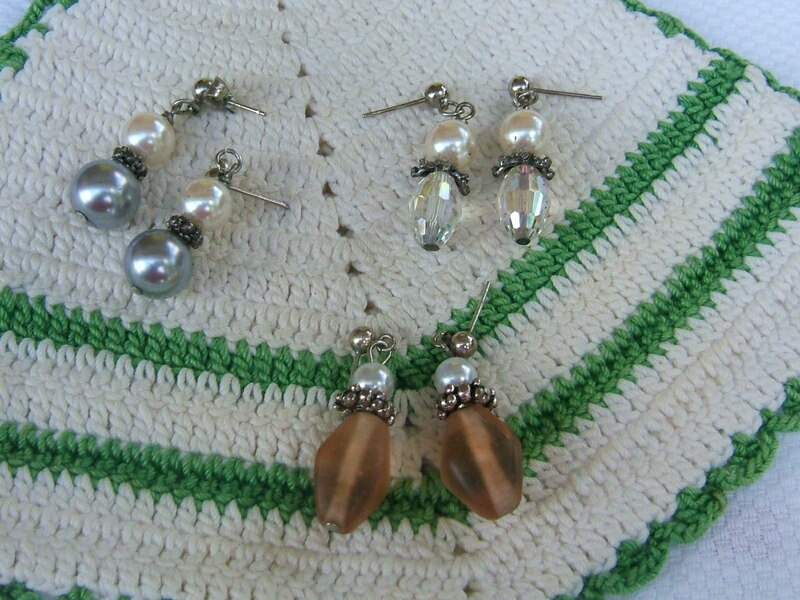 I totally agree with the grandma treasures things…I have a lot of my grandmothers things and I adore and treasure them. Hopefully some day my daughter will feel the same way:). That’s an amazing haul of treasure – the brooches are divine and how wonderful to hear from the lady who owned them. Have a great week! Those pins are beautiful and I love the owl trivet! I love the pins and I collect the boopie glasses too! My goodness, you sure did find some treasures. The pins are lovely and that owl trivet is sooo cute. You did really really well. 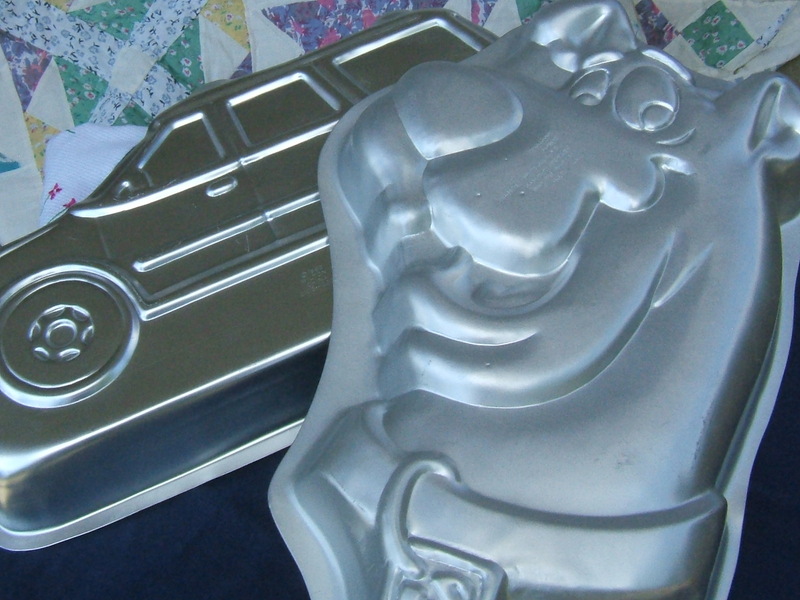 I would have done the Snoopy happy dance over that tureen, too — and I love the trays — great graphics! 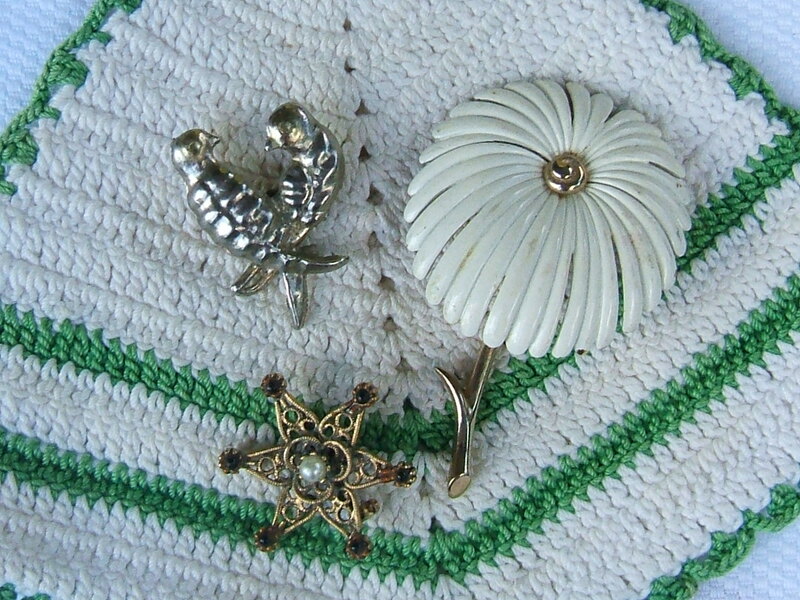 But I think my favorite of your finds are those pins — especially the white flower! Wow, you found some fantastic items. I love and collect milk glass vases and I have that one you found. The Pyrex pie plate is to die for. If you google “pyrex collective” you will find 2 blogs (I and II) of almost 200 people that post their Pyrex finds on there. I don’t often see pie plates so I think it’s great you found that. Oh my heavens you hit the mother lode!!! These are fantastic finds!!! I am ABSOLUTELY IN LOVE WITH YOUR SOUP TUREEN AND THAT IS AN INCREDIBLE $3 PRICE!!!!!!! I also love those pins and the modeling woman’s story you got with the background on them!!! Great finds. The pie plate is gorgeous!!!!! Love the pins! so cute! Love the tureen, great lines. Enjoy your goodies! WOW! so many treasure so much stuff. Yes kids should be respectful of their inheritance or it should go away…Thanks for link up! I wish I could have gone with you. Not too much luck around here lately! Love the doggie pitcher. I’m in love with the pyrex pie plate and the tureen! What amazing finds! I love the glasses! 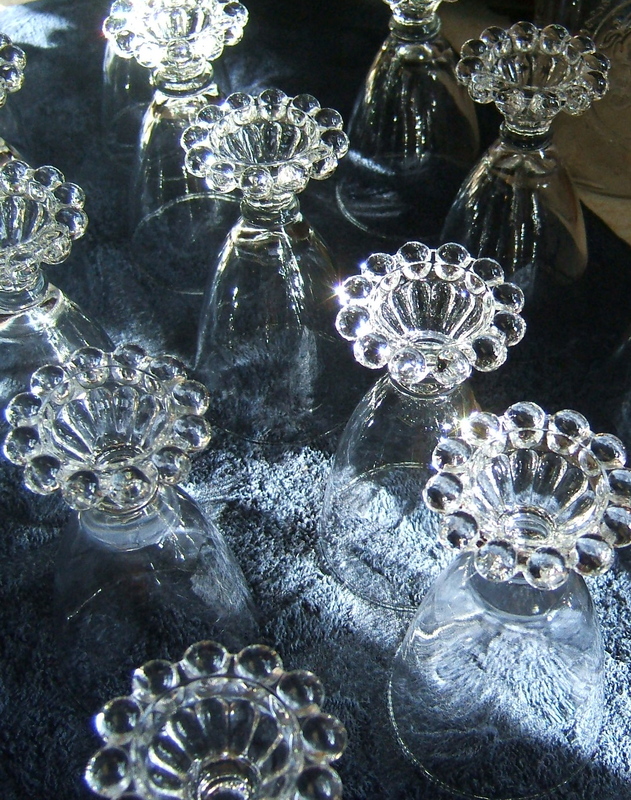 My mom has the same kind and I had no idea they were Boopie glasses. I’ll have to tell her. Tammy what an awesome shopper you are!! I love yard sales! I go every Saturday!! love the boopies…never heard them called that! great finds. There’s nothing quite like fun hunting and finding! You have some great stuff there–that TUREEN is wonderful! Thanks for stopping by, and happy weekend! Wow, you are quite the bargain hunter. 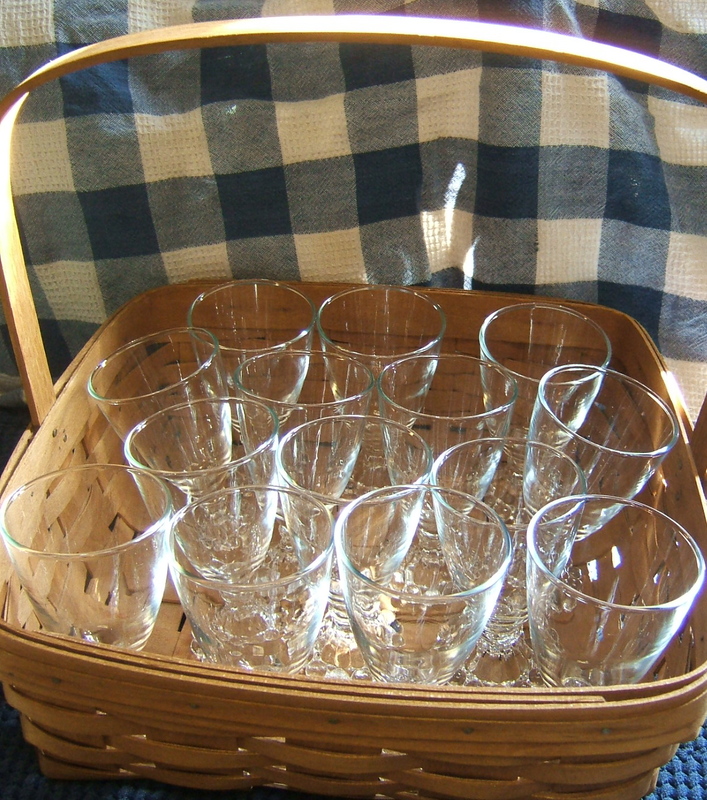 I especially love your basket of Boopie glasses – which I had never heard of. Might that basket be a Longaberger – I’m an addict! Thanks for stopping by my blog, I appreciate it. I absolutely covet your ruffled tureen! All your treasures were really good scores! 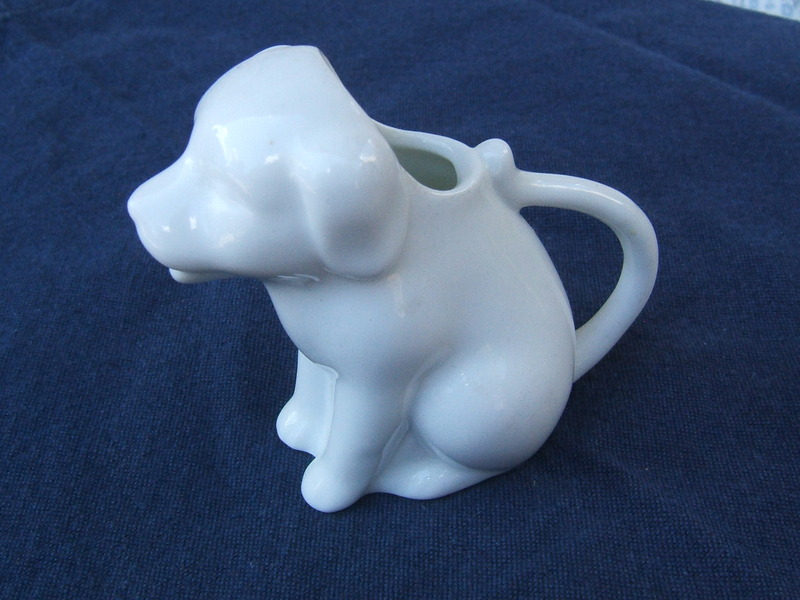 Cute puppy pitcher! Wow Tammy! you did great this week! i know what you mean about the first place you stopped. Obviously, the antique owner wasn’t serious about selling off her stuff. LOVE the tureen! It is beautiful!Thank you for joining TTF and have a fun weekend! Wowza- great treasures! I love the owl!